Hamson’s Haulage is a UK logistics company. We offer the complete solution for your requirements including UK and EU curtain sided distribution, container storage and crane, trailer, container and forklift truck hire. No project is one-size-fits-all, which is why we treat you with individualised care. Tell us about your needs for road haulage and we’ll match you with the most appropriate vehicle and route. Need storage? We can offer secure and accessible self-storage or deliver a container to your location – we’re happy to accommodate your needs and guarantee satisfaction. Our huge range of vehicles and containers guarantees we have the tools for your job. Based in Northamptonshire and covering the whole of the UK & Europe, Hamsons Haulage ticks all the boxes. If its “out of the box” solutions you require, make us your first call. We strive to provide a quality, cost effective service that meets your customer’s deadlines. Our reputation for reliability & professionalism gives you the peace of mind which is priceless in today’s competitive environment. Our client base includes event production companies, show case exhibition installers, festival suppliers, printers, utility manufacturers & global blue chip brands. We have the expertise and experience to provide a complete solution for all our clients’ requirements, big or small. 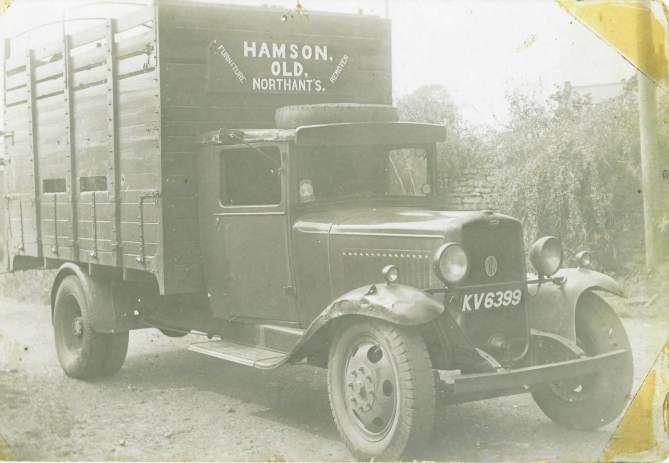 Hamsons Haulage was founded in 1929 by Joseph Hamson who left his father’s business based in Brixworth to set up on his own. His first truck was a bull-nosed Ford which provided cattle transport and was used to sell timber in the winter. 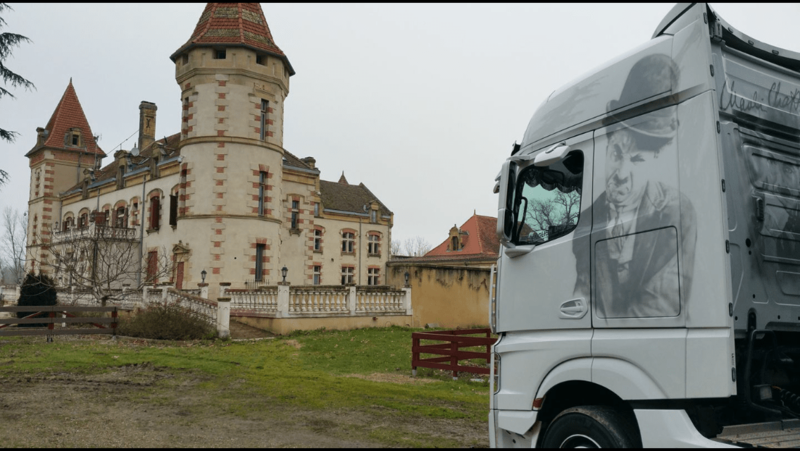 His truck was based in a small village in Northamptonshire called Old where he moved to in 1924 after marrying Dorothy whose family, The Ponton’s, have been residents of Old for generations. His son, Dennis, was born in 1933 and worked in Joseph’s business from an early age and apart from a spell doing National Service which was compulsory at the time, worked in the business until his passing aged 79 in 2011. Joseph and Dennis purchased a yard in Old in 1956 and this is still our main base today, including another yard we use to store our trailers and containers. Dennis had two sons, Larry, and Andrew who both worked in the business after leaving school. 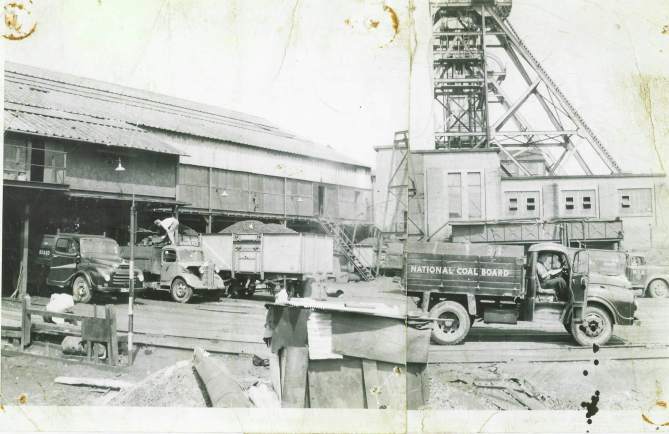 Following the passing of Dennis in 2011, Larry and Andrew split the business with Larry continuing with Hamsons Haulage and Andrew with the coal and timber business trading under the name ‘Hamsons Coal’.